Stock #5555 Compressed Natural Gas - CNG 2001 Ford CV P71 $9,500.00 Commuting is a big part of our lives, living in Southern California. Sometimes you have to make a choice to either move your place of residence or drive a frustrating commute. 2011 Census data show that the most extreme commuting in the country is in California and the Washington, D.C., area. The four longest commutes in the country are in California, involving commuters heading to Los Angeles and San Francisco. Three of the top 10 worst commuting times belong to towns in Southern California and four are in northern California. We have the answer for you if you are wrestling with this decision. 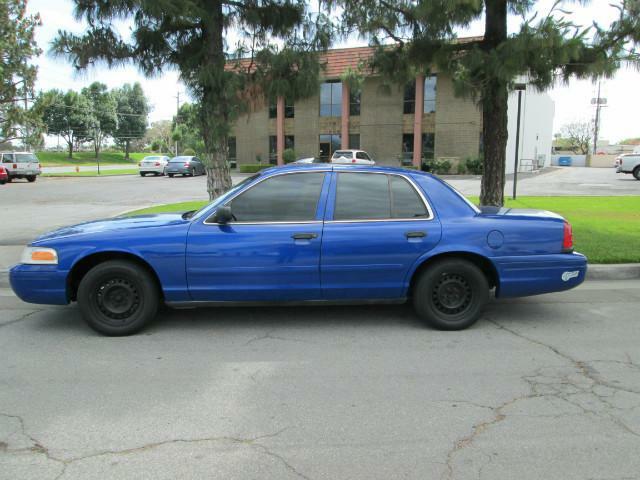 Wild Rose Motors Ltd - Police Interceptors is focusing on getting as many people in a safe, economical 100% Compressed Natural Gas (CNG) fueled Crown Victoria and we have plenty of stock to choose from right now. This kind of vehicle enables you to drive in the Carpool Lane alone in the car. It’s a no brainer..... if you have equity in your home, and the kids love their school, moving is not the answer, investing in a CNG Crown Victoria that has HOV lane stickers and power everything is the right answer. Ride in style, comfort and safety and get to work and home faster, so you can have more leisure time at home. Check out our inventory at: http://www.policeinterceptors.info/inven tory Or call Seton for more details, such as the long range tanks, where to find local Public CNG Stations or set up a test drive at (714)260-4867.